Offering architectural appeal with classic and traditional as well as contemporary designs, ASF Cast Iron Bollards give excellent pedestrian protection that not only looks great but is also extremely durable and long lasting. Cast in our own foundry to full engineering cast specifications, this range of bollards can be utilised as Traffic Control, Building or Pavement Protection and can be adapted to form chain barriers, rail barriers, cycle stands, gate posts and traffic signs. Utilising our on site pattern making and design teams, ASF can add coats of arms, insignias, lettering and bespoke designs onto bollards to be used as signage, for public safety, for aesthetics or to promote civic and community identity. As bespoke manufacturers, ASF can also develop patterns and castings for completely original bollard designs. We can work alongside architects, artists, sculptors, designers, in fact- anyone at all with their own ideas- to create dedicated, one of a kind products. 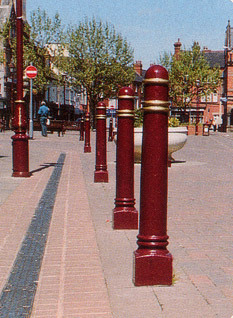 ASF can also make practical adaptations to bollards such as adding heavy duty steel cores to assist with Ram Raid Protection. In addition to casting in high quality engineering grade 250 cast iron, ASF also offer bollards in ductile cast iron. SG Castings are one of ASF's sister companies, and part of the group of companies that form WB White. 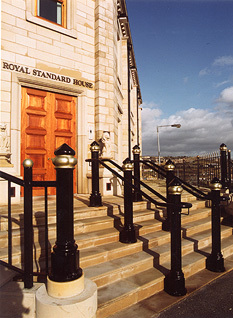 SG Castings specialise in manufacturing all grades of ductile iron, which itself offers a range of strength values that can be specified so that bollards can suit a given task. Ductile iron grades are very strong - and are given a numerical code which relates the relationship between strength and ductility. Often, a higher level of ductility is required because of the significantly increased resistance to impact and its propensity not to fragment in the case of an explosion. Ductility is the ability of a material to be able to deform under stress and return to its original shape. 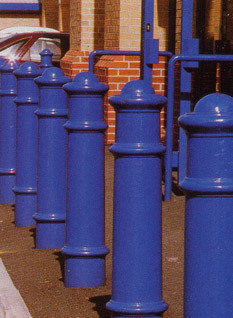 ASF's complete range of cast iron bollards are available in all grades of ductile iron. 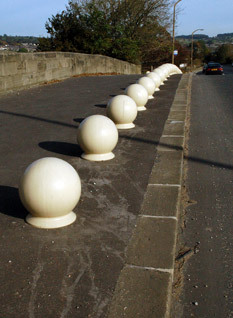 ASF are probably the only bollard and street furniture manufacturing company that can offer such a wide range of casting materials from in-house manufacturing facilities. For more information on the technical information surrounding ductile iron please visit the technical page of our ductile iron foundry website. 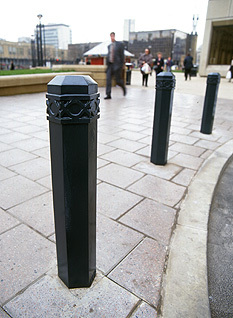 ASF can adapt all cast iron bollards to be DDA compliant, with the addition of reflective or painted banding. To learn more about our casting process please visit our foundry website.